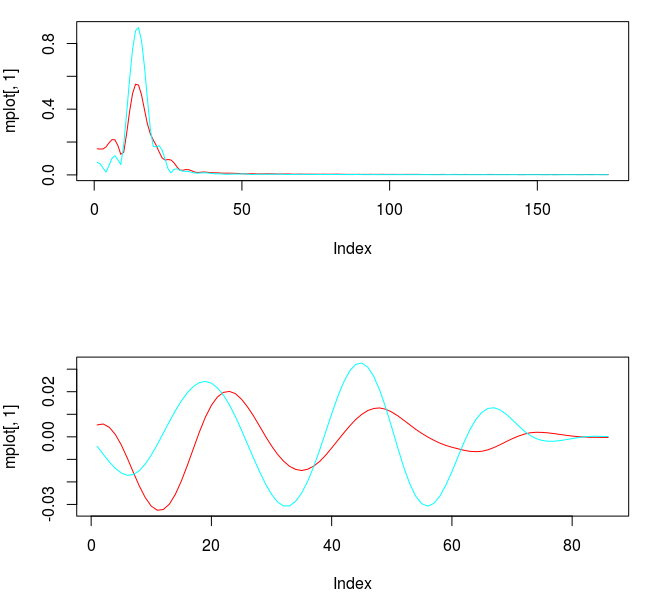 Figure 1: In-sample (observations 1-250) and out-of-sample performance of the trading signal built in this tutorial using MDFA. (Top) The log price of the Yen (FXY) in 15 minute intervals and the trades generated by the trading signal. Here black line is a buy (long), blue is sell (short position). 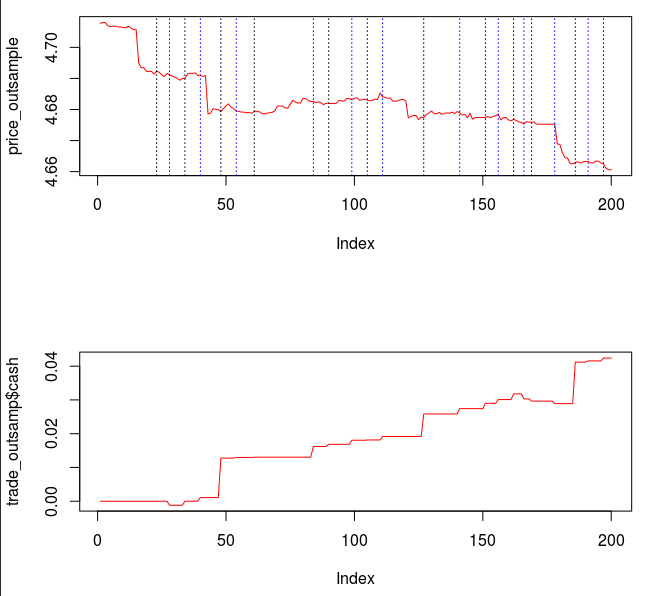 (Bottom) The returns accumulated (cash) generated by the trading, in percentage gained or lost. 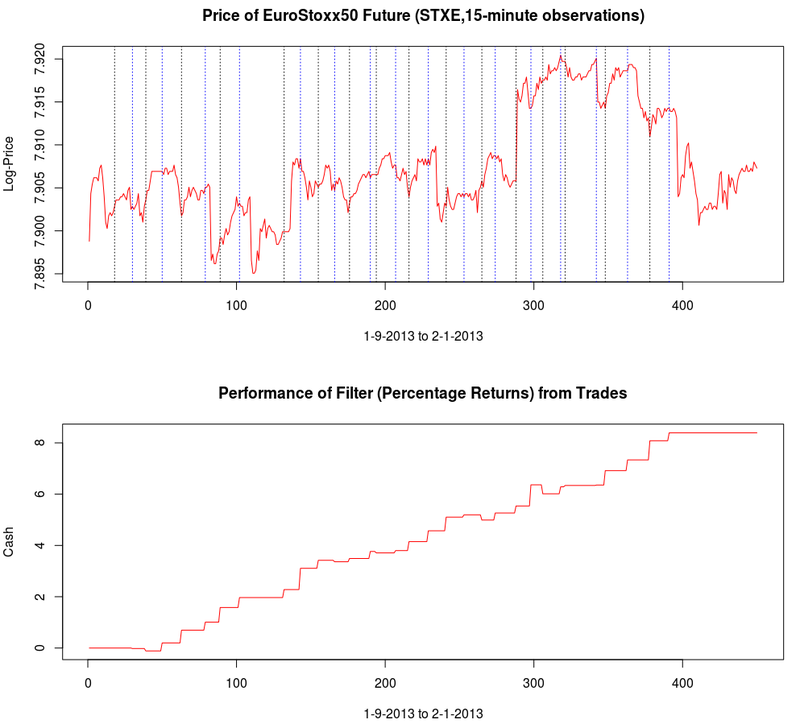 In my previous article on high-frequency trading in iMetrica on the FOREX/GLOBEX, I introduced some robust signal extraction strategies in iMetrica using the multidimensional direct filter approach (MDFA) to generate high-performance signals for trading on the foreign exchange and Futures market. In this article I take a brief leave-of-absence from my world of developing financial trading signals in iMetrica and migrate into an uber-popular language used in finance due to its exuberant array of packages, quick data management and graphics handling, and of course the fact that it’s free (as in speech and beer) on nearly any computing platform in the world. This article gives an intro tutorial on using R for high-frequency trading on the FOREX market using the R package for MDFA (offered by Herr Doktor Marc Wildi von Bern) and some strategies that I’ve developed for generating financially robust trading signals. For this tutorial, I consider the second example given in my previous article where I engineered a trading signal for 15-minute log-returns of the Japanese Yen (from opening bell to market close EST). This presented slightly new challenges than before as the close-to-open jump variations are much larger than those generated by hourly or daily returns. But as I demonstrated, these larger variations on close-to-open price posed no problems for the MDFA. In fact, it exploited these jumps and made large profits by predicting the direction of the jump. Figure 1 at the top of this article shows the in-sample (observations 1-250) and out-of-sample (observations 251 onward) performance of the filter I will be building in the first part of this tutorial. Throughout this tutorial, I attempt to replicate these results that I built in iMetrica and expand on them a bit using the R language and the implementation of the MDFA available in here. The data that we consider are 15-minute log-returns of the Yen from January 4th to January 17th and I have them saved as an .RData file given by ld_fxy_insamp. I have an additional explanatory series embedded in the .RData file that I’m using to predict the price of the Yen. Additionally, I also will be using price_fxy_insamp which is the log price of Yen, used to compute the performance (buy/sells) of the trading signal. The ld_fxy_insamp will be used as the in-sample data to construct the filter and trading signal for FXY. To obtain this data so you can perform these examples at home, email me and I’ll send you all the necessary .RData files (the in-sample and out-of-sample data) in a .zip file. Taking a quick glance at the ld_fxy_insamp data, we see log-returns of the Yen at every 15 minutes starting at market open (time zone UTC). The target data (Yen) is in the first column along with the two explanatory series (Yen and another asset co-integrated with movement of Yen). Moving on, to begin constructing the first trading signal for the Yen, we begin by uploading the data into our R environment, define some initial parameters for the MDFA function call, and then compute the DFTs and periodogram for the Yen. As I’ve mentioned in my previous articles, my step-by-step strategy for building trading signals always begin by a quick analysis of the periodogram of the asset being traded on. Holding the key to providing insight into the characteristics of how the asset trades, the periodogram is an essential tool for navigating how the extractor is chosen. Here, I look for principal spectral peaks that correspond in the time domain to how and where my signal will trigger buy/sell trades. Figure 2 shows the periodogram of the 15-minute log-returns of the Japanese Yen during the in-sample period from January 4 to January 17 2013. The arrows point to the main spectral peaks that I look for and provides a guide to how I will define my function. The black dotted lines indicate the two frequency cutoffs that I will consider in this example, the first being and the second at . Notice that both cutoffs are set directly after a spectral peak, something that I highly recommend. In high-frequency trading on the FOREX using MDFA, as we’ll see, the trick is to seek out the spectral peak which accounts for the close-to-open variation in the price of the foreign currency. We want to take advantage of this spectral peak as this is where the big gains in foreign currency trading using MDFA will occur. Figure 2: Periodogram of FXY (Japanese Yen) along with spectral peaks and two different frequency cutoffs. In our first example we consider the larger frequency as the cutoff for by setting it to (the right most line in the figure of the periodogram). I then initially set the timeliness and smoothness parameters, and expweight to 0 along with setting all the regularization parameters to 0 as well. This will give me a barometer for where and how much to adjust the filter parameters. 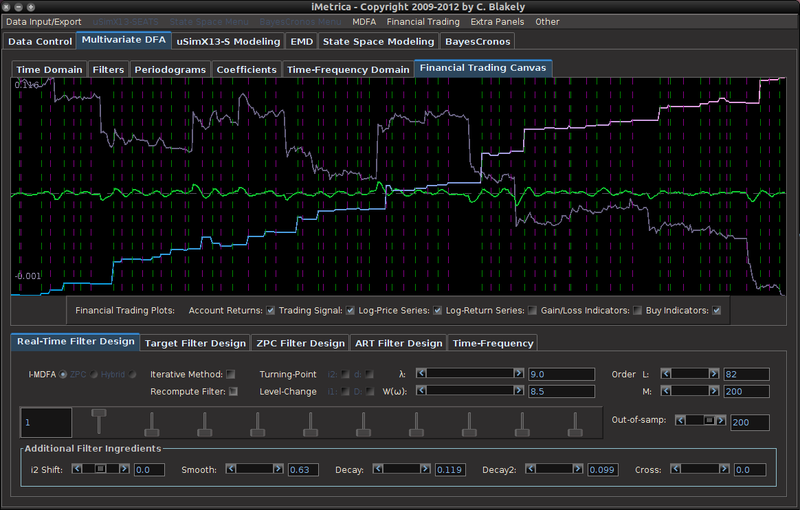 In selecting the filter length , my empirical studies over numerous experiments in building trading signals using iMetrica have demonstrated that a ‘good’ choice is anywhere between 1/4 and 1/5 of the total in-sample length of the time series data. Of course, the length depends on the frequency of the data observations (i.e. 15 minute, hourly, daily, etc. ), but in general you will most likely never need more than being greater than 1/4 the in-sample size. Otherwise, regularization can become too cumbersome to handle effectively. In this example, the total in-sample length is 335 and thus I set which I’ll stick to for the remainder of this tutorial. In any case, the length of the filter is not the most crucial parameter to consider in building good trading signals. 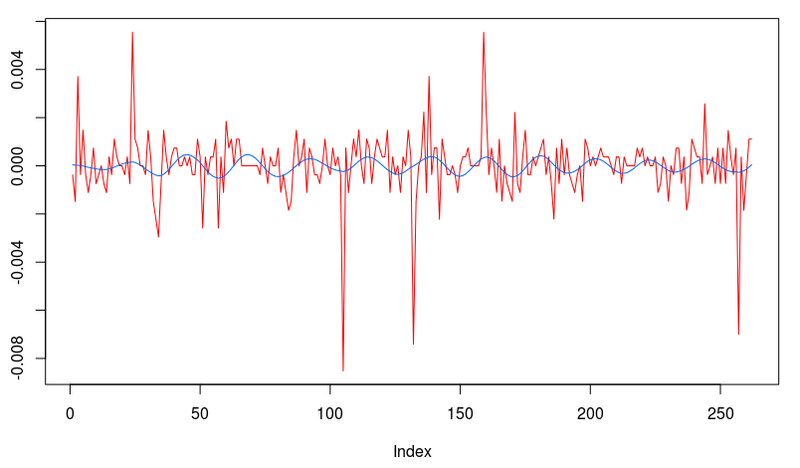 For a good robust selection of the filter parameters couple with appropriate explanatory series, the results of the trading signal with compared with, say, should hardly differ. If they do, then the parameterization is not robust enough. The resulting frequency response functions of the filter and the coefficients are plotted in the figure below. Notice the abundance of noise still present passed the cutoff frequency. This is mollified by increasing the expweight smoothness parameter. 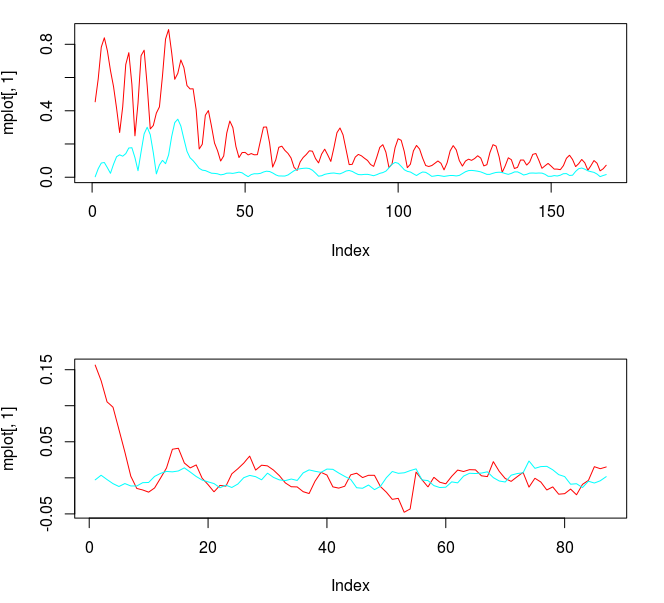 The coefficients for each explanatory series show some correlation in their movement as the lags increase. However, the smoothness and decay of the coefficients leaves much to be desired. We will remedy this by introducing regularization parameters. 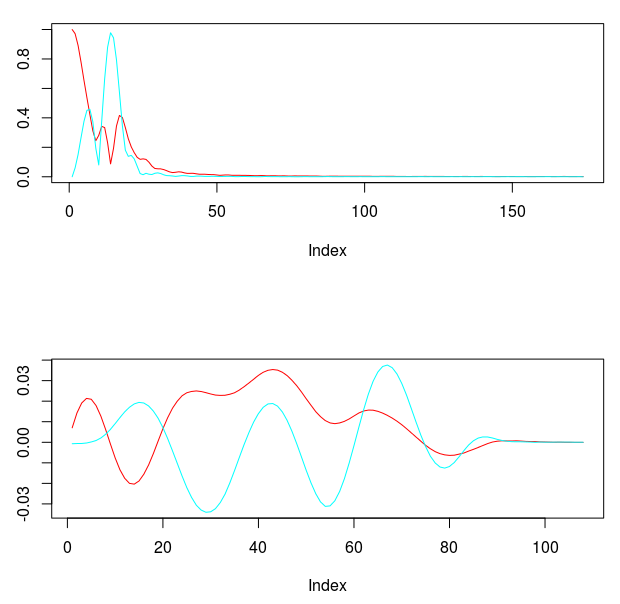 Plots of the in-sample trading signal and the performance in-sample of the signal are shown in the two figures below. Notice that the trading signal behaves quite nicely in-sample. However, looks can be deceiving. This stellar performance is due in large part to a filtering phenomenon called overfitting. One can deduce that overfitting is the culprit here by simply looking at the nonsmoothness of the coefficients along with the number of freezed degrees of freedom, which in this example is roughly 174 (out of 174), way too high. We would like to get this number at around half the total amount of degrees of freedom (number of explanatory series x L). 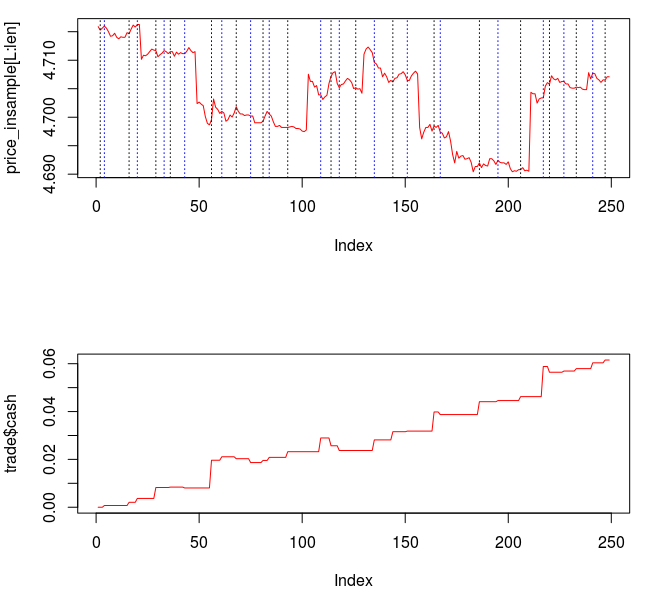 Figure 4: The trading signal and the log-return data of the Yen. The in-sample performance of this filter demonstrates the type of results we would like to see after regularization is applied. But now comes for the sobering effects of overfitting. We apply these filter coeffcients to 200 15-minute observations of the Yen and the explanatory series from January 18 to February 1 2013 and compare with the characteristics in-sample. To do this in R, we first load the out-of-sample data into the R environment, and then apply the filter to the out-of-sample data that I defined as x_out. 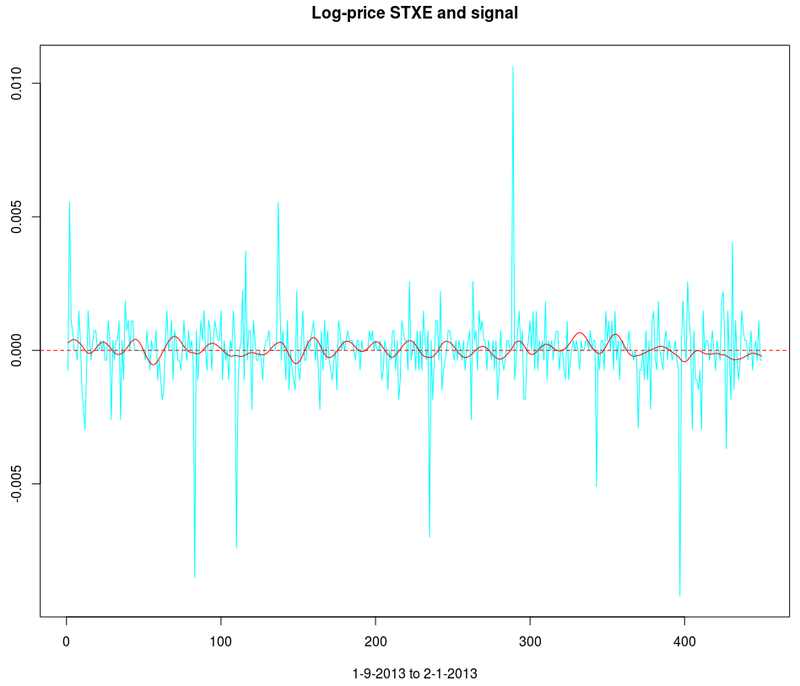 The plot in Figure 5 shows the out-of-sample trading signal. Notice that the signal is not nearly as smooth as it was in-sample. Overshooting of the data in some areas is also obviously present. 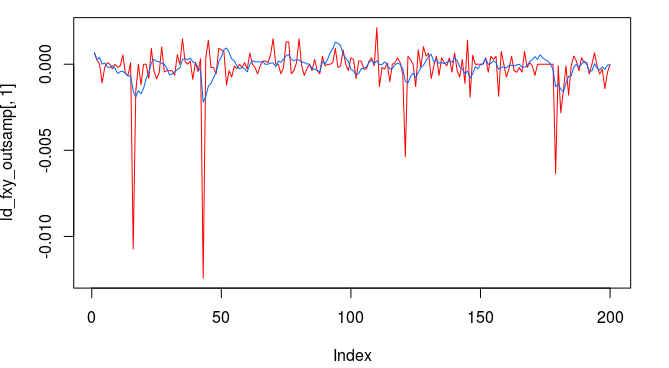 Although the out-of-sample overfitting characteristics of the signal are not horribly suspicious, I would not trust this filter to produce stellar returns in the long run. 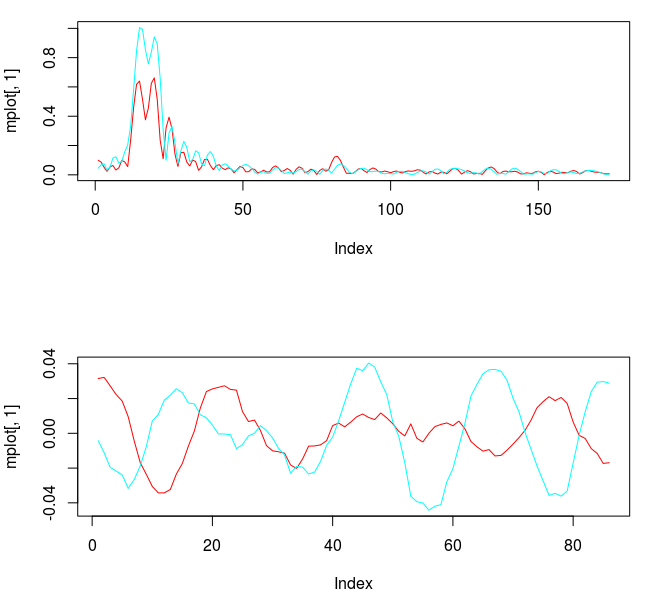 Following the previous analysis of the mean-squared solution (no customization or regularization), we now proceed to clean up the problem of overfitting that was apparent in the coefficients along with mollifying the noise in the stopband (frequencies after ). In order to choose the parameters for smoothing and regularization, one approach is to first apply the smoothness parameter first, as this will generally smooth the coefficients while acting as a ‘pre’-regularizer, and then advance to selecting appropriate regularization controls. In looking at the coefficients (Figure 3), we can see that a fair amount of smoothing is necessary, with only a slight touch of decay. 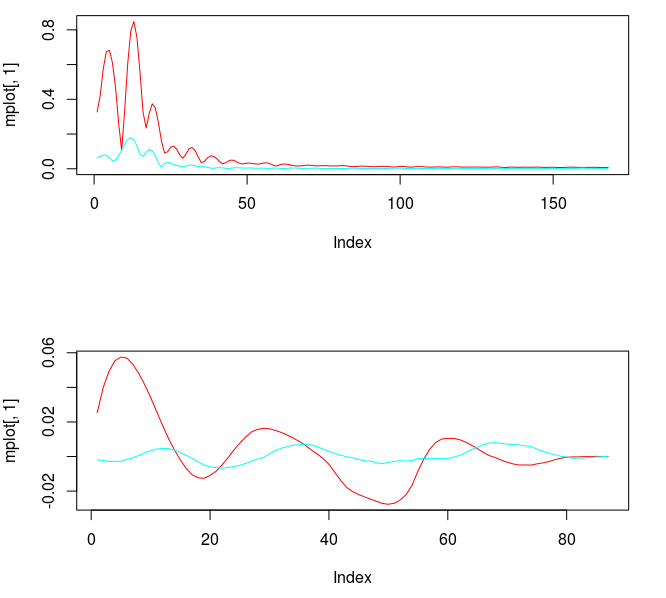 To select these two parameters in R, one option is to use the Troikaner optimizer (found here) to find a suitable combination (I have a secret sauce algorithmic approach I developed for iMetrica for choosing optimal combinations of parameters given an extractor and a performance indicator, although it’s lengthy (even in GNU C) and cumbersome to use, so I typically prefer the strategy discussed in this tutorial). In this example, I began by setting the lambda_smooth to .5 and the decay to (.1,.1) along with an expweight smoothness parameter set to 8.5. After viewing the coefficients, it still wasn’t enough smoothness, so I proceeded to add more finally reaching .63, which did the trick. I then chose lambda to balance the effects of the smoothing expweight (lambda is always the last resort tweaking parameter). 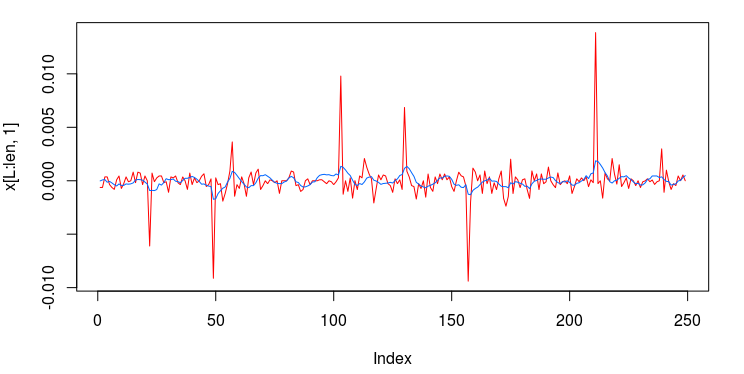 Figure 6 shows the resulting frequency response function for both explanatory series (Yen in red). Notice that the largest spectral peak found directly before the frequency cutoff at is being emphasized and slightly mollified (value near .8 instead of 1.0). The other spectral peaks below are also present. For the coefficients, just enough smoothing and decay was applied to keep the lag, cyclical, and correlated structure of the coefficients intact, but now they look much nicer in their smoothed form. The number of freezed degrees of freedom has been reduced to approximately 102. Figure 6: The frequency response functions and the coefficients after regularization and smoothing have been applied (top). The smoothed coefficients with slight decay at the end (bottom). Number of freezed degrees of freedom is approximately 102 (out of 172). Along with an improved freezed degrees of freedom and no apparent havoc of overfitting, we apply this filter out-of-sample to the 200 out-of-sample observations in order to verify the improvement in the structure of the filter coefficients (shown below in Figure 7). Notice the tremendous improvement in the properties of the trading signal (compared with Figure 5). The overshooting of the data has be eliminated and the overall smoothness of the signal has significantly improved. This is due to the fact that we’ve eradicated the presence of overfitting. 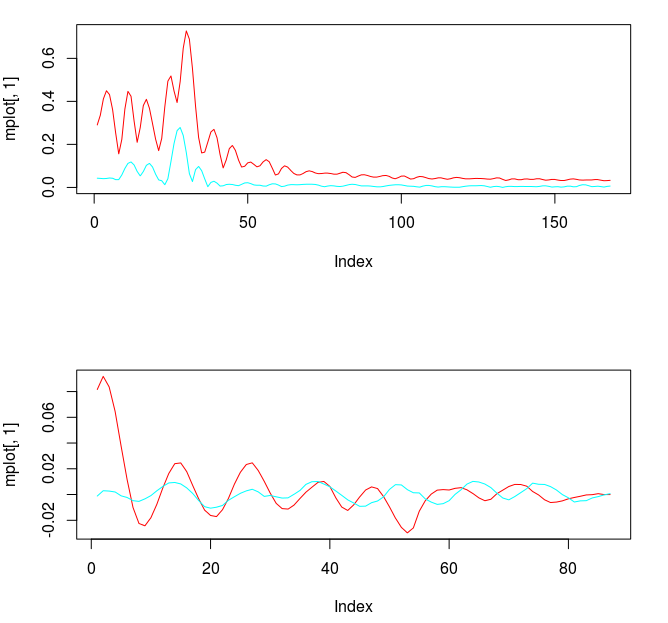 Figure 7: Out-of-sample trading signal with regularization. With all indications of a filter endowed with exactly the characteristics we need for robustness, we now apply the trading signal both in-sample and out of sample to activate the buy/sell trades and see the performance of the trading account in cash value. When the signal crosses below zero, we sell (enter short position) and when the signal rises above zero, we buy (enter long position). The top plot of Figure 8 is the log price of the Yen for the 15 minute intervals and the dotted lines represent exactly where the trading signal generated trades (crossing zero). The black dotted lines represent a buy (long position) and the blue lines indicate a sell (and short position). Notice that the signal predicted all the close-to-open jumps for the Yen (in part thanks to the explanatory series). This is exactly what we will be striving for when we add regularization and customization to the filter. The cash account of the trades over the in-sample period is shown below, where transaction costs were set at .05 percent. In-sample, the signal earned roughly 6 percent in 9 trading days and a 76 percent trading success ratio. 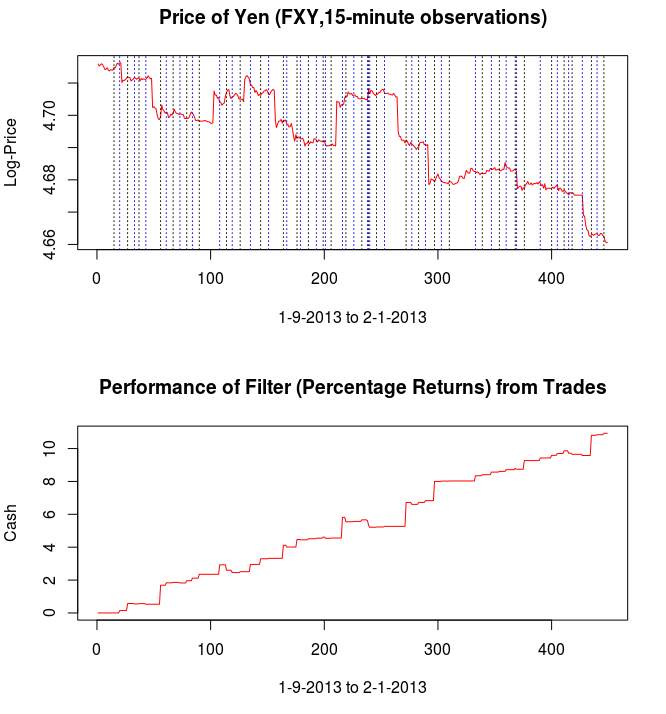 Figure 8: In-sample performance of the new filter and the trades that are generated. Now for the ultimate test to see how well the filter performs in producing a winning trading signal, we applied the filter to the 200 15-minute out-of-sample observation of the Yen and the explanatory series from Jan 18th to February 1st and make trades based on the zero crossing. The results are shown below in Figure 9. The black lines represent the buys and blue lines the sells (shorts). 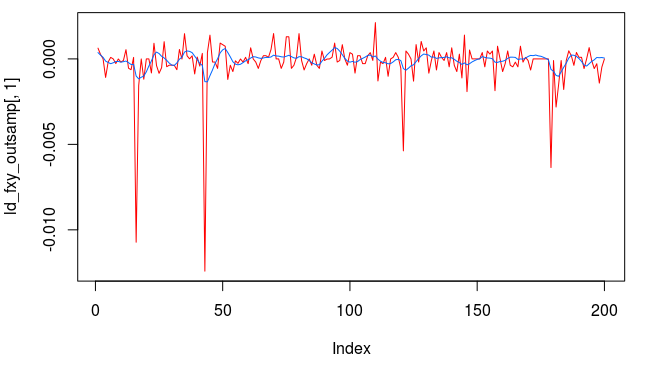 Notice the filter is still able to predict the close-to-open jumps even out-of-sample thanks to the regularization. The filter succumbs to only three tiny losses at less than .08 percent each between observations 160 and 180 and one small loss at the beginning, with an out-of-sample trade success ratio hitting 82 percent and an ROI of just over 4 percent over the 9 day interval. 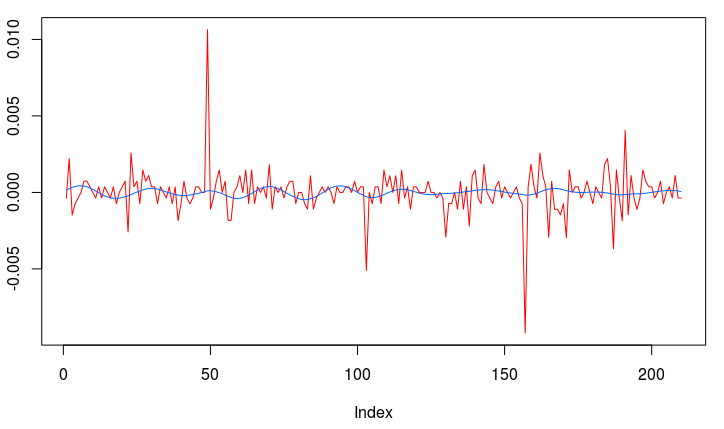 Figure 9: Out-of-sample performance of the regularized filter on 200 out-of-sample 15 minute returns of the Yen. The filter achieved 4 percent ROI over the 200 observations and an 82 percent trade success ratio. Compare this with the results achieved in iMetrica using the same MDFA parameter settings. In Figure 10, both the in-sample and out-of-sample performance are shown. The performance is nearly identical. Figure 10: In-sample and out-of-sample performance of the Yen filter in iMetrica. Nearly identical with performance obtained in R.
Now we take a stab at producing another trading filter for the Yen, only this time we wish to identify only the lowest frequencies to generate a trading signal that trades less often, only seeking the largest cycles. As with the performance of the previous filter, we still wish to target the frequencies that might be responsible to the large close-to-open variations in the price of Yen. To do this, we select our cutoff to be which will effectively keep the largest three spectral peaks intact in the low-pass band of . For this new filter, we keep things simple by continuing to use the same regularization parameters chosen in the previous filter as they seemed to produce good results out-of-sample. The and expweight customization parameters however need to be adjusted to account for the new noise suppression requirements in the stopband and the phase properties in the smaller passband. Thus I increase the smoothing parameter and decreased the timeliness parameter (which only affects the passband) to account for this change. The new frequency response functions and filter coefficients for this smaller lowpass design are shown below in Figure 11. Notice that the second spectral peak is accounted for and only slightly mollified under the new changes. The coefficients still have the noticeable smoothness and decay at the largest lags. Figure 11: Frequency response functions of the two filters and their corresponding coefficients. To test the effectiveness of this new lower trading frequency design, we apply the filter coefficients to the 200 out-of-sample observations of the 15-minute Yen log-returns. The performance is shown below in Figure 12. In this filter, we clearly see that the filter still succeeds in predicting correctly the large close-to-open jumps in the price of the Yen. Only three total losses are observed during the 9 day period. The overall performance is not as appealing as the previous filter design as less amount of trades are made, with a near 2 percent ROI and 76 percent trade success ratio. However, this design could fit the priorities for a trader much more sensitive to transaction costs. Figure 12: Out-of-sample performance of filter with lower cutoff. 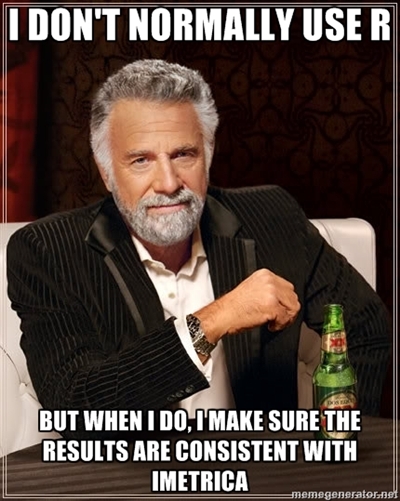 Verification and cross-validation is important, just as the most interesting man in the world will tell you. The point of this tutorial was to show some of the main concepts and strategies that I undergo when approaching the problem of building a robust and highly efficient trading signal for any given asset at any frequency. 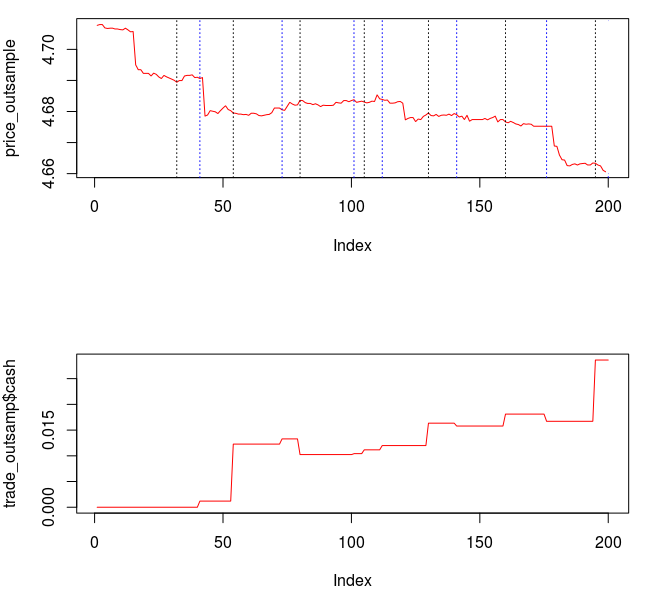 I also wanted to see if I could achieve similar results with the R MDFA package as my iMetrica software package. The results ended up being nearly parallel except for some minor differences. The main points I was attempting to highlight were in first analyzing the periodogram to seek out the important spectral peaks (such as ones associate with close-to-open variations) and to demonstrate how the choice of the cutoff affects the systematic trading. Here’s a quick recap on good strategies and hacks to keep in mind. As I mentioned before, the periodogram is your best friend. Apply the cutoff directly after any range of spectral peaks that you want to consider. These peaks are what generate the trades. Utilize a choice of filter length no greater than 1/4. Anything larger is unnecessary. Begin by computing the filter in the mean-square sense, namely without using any customization or regularization and see exactly what needs to be approved upon by viewing the frequency response functions and coefficients for each explanatory series. Good performance of the trading signal in-sample (and even out-of-sample in most cases) is meaningless unless the coefficients have solid robust characteristics in both the frequency domain and the lag domain. If you have any questions, or would like the high-frequency Yen data I used in these examples, feel free to contact me and I’ll send them to you. Until next time, happy extracting!